Orton Development responded to the community feedback and questions from our March 2nd Community Forum. Councilmember Bas is sharing these responses publicly to continue to inform and engage the community in this major development project. See Orton's response to the community's questions and feedback. On Saturday, March 2, more than 150 community members joined Councilmember Bas' office and Laney College Facilities Planning Committee to hear about Orton Development's proposal to redevelop the historic Kaiser Convention Center into a performing arts venue and space for nonprofit and arts organizations. While there was a positive response to the proposal’s focus on arts and nonprofit organizations, there was also healthy skepticism about detailed plans for access, affordability, cultural equity, good local jobs, and public participation. 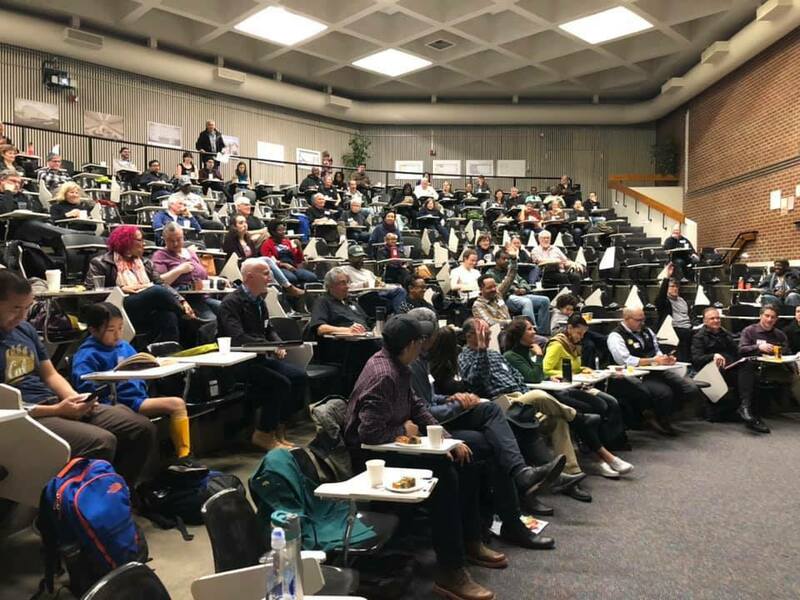 We invited community groups like Eastlake United for Justice, Oakland Chinatown Coalition, Black Arts Movement Business District (the organizers of Bambdfest:2019), Eastside Arts Alliance, Oakland Ballet, and IATSE Local 107 (Stagehands Union) to share their responses, needs, and hopes for the project. Community members had many questions for the development team — from questions on design and function to those focused on timeline, costs / affordability, cultural equity, good jobs & local hire, community engagement, and impact on the surrounding areas, institutions, residents, unsheltered neighbors and more. We created this summary of the community's comments and questions raised at the forum. Councilmember Bas is sharing this feedback with the developer, the City’s Economic & Workforce Development Department, City Council, the Oakland Planning Commission, and the public. Please help share the summary with more neighbors. We are committed to working with Orton and the City to obtain and share answers to the questions raised, as well as to maximize community engagement in this project so it yields the highest public benefit. The project is on the Planning Commission agenda for April 3, 2019. If you haven't already shared your opinion on the project, please do so here. Thank you for continuing to voice your perspectives on projects like this one, the Parkway Theater proposal, and Downtown Oakland Specific Plan.